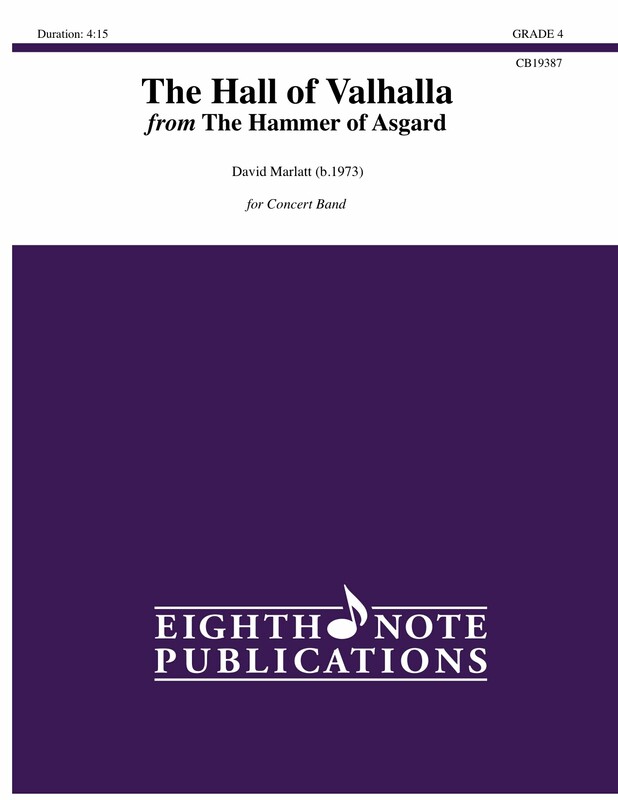 The Hall of Valhalla is the second movement to the three part suite The Hammer of Asgard, an original soundtrack style composition for winds and percussion. Using Norse mythology as the theme, The Hall of Valhalla is the dramatic lyrical movement of this suite. The journey to Valhalla is very subdued, but when the dead first see the gates of the mighty hall, their awe and amazement is indescribable. Wailing Hollywood horns, brilliant trumpet and woodwind solos are all supported by the percussion and powerful low parts make this fun to play for all and a wild adventure for audiences.